Expect quality service offered at fair and honest rates from Terry's Transmission & Auto Repair, a transmission shop in Hampton, VA. We offer full-service transmission and engine repairs and maintenance carried out by ASE-certified mechanics and backed by more than 76 years of combined experience. Count on our transmission shop to meet or beat any reasonable quote from our competitors for any manufacturer-suggested and unexpected engine and transmission service. Request a free, no-obligation estimate and see just how much you can save at our car transmission shop. Is the problem with your car preventing you from driving it to our auto transmission shop? No problem! We offer free towing to our garage, saving you the hassle of finding a tow truck. Have peace of mind knowing your car, truck, and SUV are in the hands of ASE-certified mechanics. An independent nonprofit organization, the National Instituted for Automotive Service Excellence (ASE) promotes excellence in automotive repair and service by certifying mechanics in best practices as well as new and improved techniques. Hiring certified mechanics enables us to maintain a high level of quality in our business and for our clients. Are you experiencing a delay in your clutch? Or, is it difficult for the gear to catch when shifting? These are common issues indicating your vehicle's transmission is in despair. When your car, truck, or SUV shows any of these signs, bring it in to our auto transmission shop. We have the latest tools and diagnostic equipment to pinpoint the issue and devise a solution. 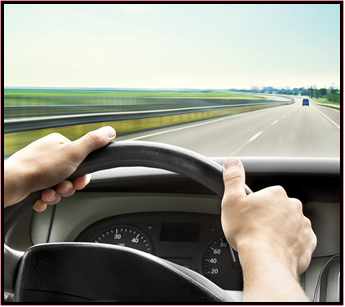 Trust our mechanics to find the issue fast so that you can get back to on the road quick. Trust a car transmission shop with the equipment and expertise to take on any transmission issues for a wide variety of car makes and models. While other car transmission shops are certified to work with specific brands, our ASE-certified technicians address transmission and engine troubles in domestic and foreign cars alike. From German-engineered imports to American classics, we deliver quality service you can rely on. In addition to our other great specials, take advantage of the 10% discount on service for all active-duty members of the United States Armed Services offered at our truck transmission shop. We support our service men and women in all branches of the military the best way we know how—with our superior service. Whether you need a new transmission, timing belt, or engine component, you can count on our truck transmission shop for exceptional care at an even better rate. Get the car service you need at fair and honest rates when you come to our transmission shop. Contact us to schedule an appointment or request a free tow truck to transport your vehicle. We serve clients in Hampton, Newport News, and Williamsburg, Virginia, and the surrounding communities.